Saratoga waterfront real estate on Whidbey Island generally includes homes that lie along Saratoga Passage, which extends about 18 miles in a northwest direction from Sandy Point on one side to Camano Head on the other. Langley is the only town situated directly on the passage. With waterfront property in this area, you’ll have access to some fabulous fishing, crabbing and clamming, with Dungeness crab, clams and flatfish particularly abundant. Right from your own yard you may be able to hop in and paddle out in the water with your kayak, watching for the myriad of wildlife along the way, including bald eagles, herons, harbor seals, sea lions and even whales. If your new home happens to come with a boat ramp, you’ll have easy access to exploring the waters throughout Puget Sound and beyond. If you don’t, the South Whidbey Harbor at Langley offers a boat ramp, beach access, accessible fishing and vessel moorage. With Saratoga waterfront real estate, you’re likely to be just steps away, or minutes at most, from the charming town of Langley known as the “village by the sea,” where you’ll find more than 1,000 acres of wooded trails for exploring on foot or on two wheels. The picturesque city streets are lined with inviting eateries, local shops, antique stores and art galleries, while basic groceries can be purchased at the Star Store. Multiple other options can be found nearby in Freeland, about a 15- minute drive away. 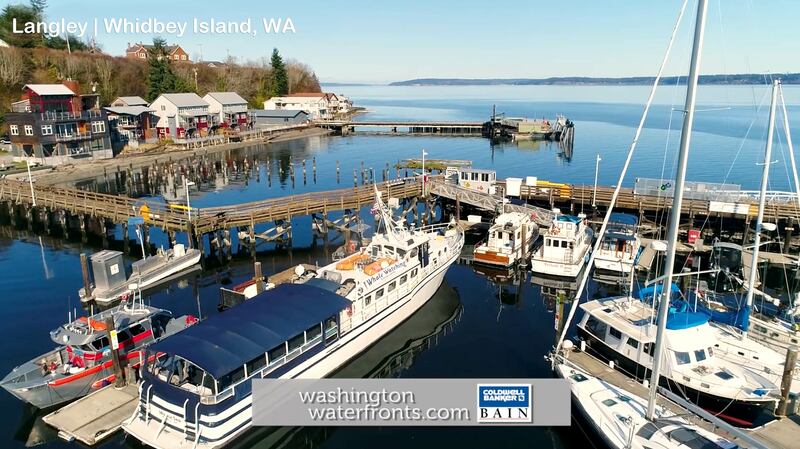 When you want to access big city amenities, Seattle is just an hour away, via the Washington State car ferry crossing from Mukilteo. When searching through Saratoga waterfront real estate, you’ll find most of the waterfront to be high bank with forested sand and clay banks, though the four low bank communities on this side of the passage include Langley, Sandy Point, Bells Beach and Fox Spit. Take advantage of our industry-leading tools to make your property search as easy as possible and be sure to register for a FREE account so that you can receive email alerts whenever new Saratoga real estate for sale hits the market. If you’re seeking to sell your Saratoga property, contact our Waterfront Specialists directly for a comprehensive listing analysis and to learn more about the cutting-edge marketing strategies we’ll use to sell your home quickly for top dollar!